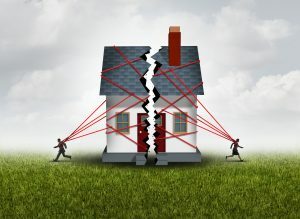 Do we have to be divorced to split the property? Traralgon family lawyers Henry Street Law have over 25 years experience in helping families resolve family law property disputes and achieve settlement. As soon as you have separated you can make arrangements to seek a division of matrimonial property and debts between you and your former partner. You do not have to wait until you are divorced. No, not at all. If you have already agreed on how things should be divided between you, or if an agreement can be reached, your lawyer at Henry Street Law can draft the documents which will finalise the arrangements, and then get the legal proceedings underway which will split the assets. If this doesn’t resolve the matter then an application for property orders must be filed with the Family Court or Federal Circuit Court. This application must be made within 12 months of your divorce becoming final. Next the court will weigh up the contributions from both parties, including financial, non-financial, any inheritances, windfalls, and assets brought into the relationship. Then the court will look at the future needs of both parties, including factors such as your earning capacity and your parental responsibilities. Finally, the court will make a decision based on what is just and equitable to both parties. Dealing with the complexities of a property dispute or settlement is stressful but the consequences of not doing it properly can impact on the rest of your life. We are experienced negotiators, and will make sure that you get the best possible outcome. Contact us on (03) 5181 6363 to discuss your particular situation with an experienced family lawyer at our office in Traralgon or email us at enquiries@henrystreetlaw.com.au.